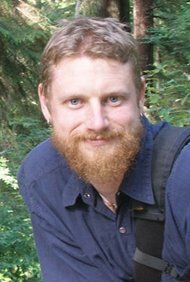 A congratulations is in order for recent alumnus Amoshaun Toft (Ph.D., 2010), who accepted a position as an Assistant Professor in the School of Interdisciplinary Arts and Sciences at the University of Washington Bothell. His primary concentrations will be in the Media and Communication Studies undergraduate program and the Masters in Arts and Cultural Studies. “My primary goal as a teacher is to help students understand key ideas in the social sciences and humanities, see the connections between themselves and broader social issues, and to foster the practical and analytical skills necessary for contributing to society,” Toft said on his website. He said he benefitted greatly from the research guidance during his time as a student at the UW and the Project for Interdisciplinary Pedagogy (PIP), a teaching series required for doctoral students. Toft helped students at the UW Bothell develop a community radio station called KUWB in 2011 that he will continue supporting and aiding in its growth. Recently moving into a new space and with some new equipment, students can have a voice and express the diversity of Bothell’s campus, Toft said. The power of language is a topic that Toft hopes to continue researching and teaching, and the manner in which it inhibits or facilitates inequality. He is reinvigorating existing relationships and beginning new ones to reach his goals.